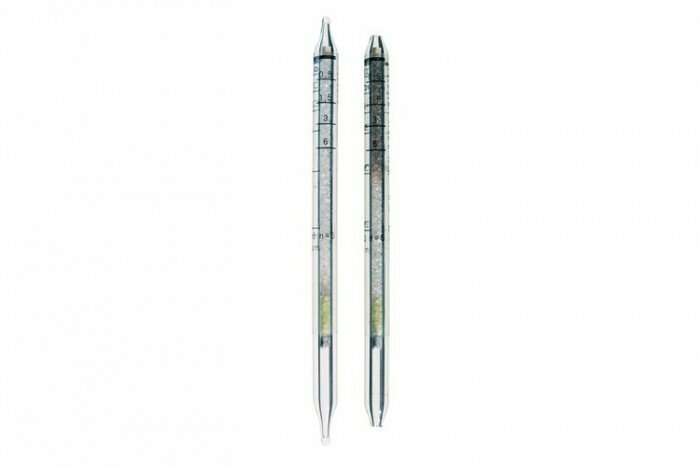 These Drager short-term detection tubes are for Hydrazine gas (0.01/a). Not only are they cost-effective but they also have a shelf life of 2 years and come in a pack of 10 tubes. 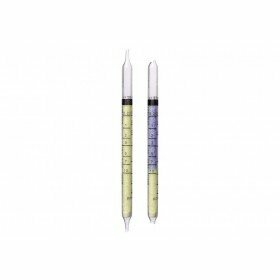 The tubes have a measurement range of 0.01 to 6 ppm. 1.1-Dimethylhydrazin and Monomethylhydrazine are shown with the same sensitivity (Standard Deviation ± 50 %) 5 ppm Ammonia at 100 strokes result in a measurement of approx. 0.01 ppm Hydrazine. At 5 strokes, Ammonia will also not be shown in high concentrations. (1) Number of strokes is printed on the tube. As a result of manufacturing of processes the number of strokes can vary between 100 and 150 strokes for the low measuring range.